Westbound immigrants, pioneers and entrepreneurs alike arrived in Kansas City with a thirst for progress and beer. Breweries both small and mighty seized opportunity in a climate of ceaseless social change and fierce regional competition. Muehlebach Brewing Company commanded the market, operating in Kansas City for more than eighty years. Built in 1902, the iconic brick warehouse of Imperial Brewing still stands today. Prohibition made times tough for brewers and citizens in the Paris of the Plains, but political "Boss" Tom Pendergast kept the taps running. In 1989, Boulevard Brewing kicked off the local craft beer renaissance, and a bevy of breweries soon formed a flourishing community. 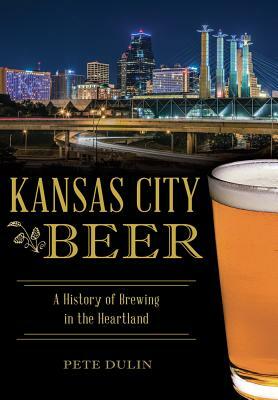 Food and beer writer Pete Dulin explores Kansas City's hop-infused history and more than sixty breweries from the frontier era to the twenty-first century.